The first tourists to book flights on the Virgin Galactic spaceship will blast off next year, Richard Branson said Wednesday. The Virgin boss, who also announced his company was expanding to include a satellite launching service, said he and his children would be the first customers. 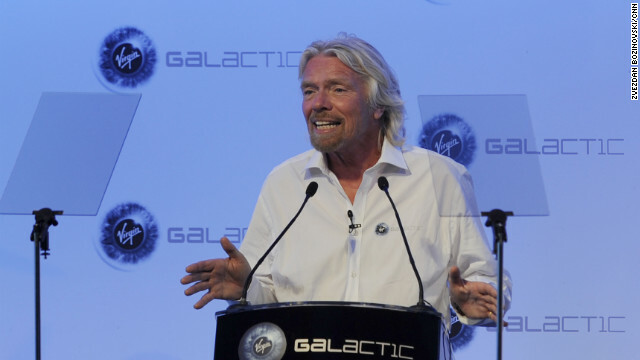 "My children Holly and Sam, I haven't told them yet but next year they will be joining me on their first voyage into space, which means everyone will be following soon after," Branson told an audience at the UK's Farnborough Air Show.